This is the last in our series of 7 posts which have illustrated how libraries deliver against a series of outcomes. Over the last 6 weeks, we have showed how libraries deliver: literacy, culture, communities, prosperity, digital and wellbeing. We won’t stop here though - following a brief break to cover other topics, we will return to these outcomes and share more examples of what is being done around the country. This week we look at lifelong learning, and how libraries help everyone achieve their full potential. Libraries raise people’s aspirations and promote lifelong learning, supplementing formal education provided through schools, colleges and adult education. This is an increasingly important process given the accelerated pace of change in the workplace and the world more generally, meaning that skills and knowledge need more frequent updating. The 2013 ONS Employer Skills Survey reported that 71% of employers expected their skills requirements for employees to change in the following 12 months, whilst also reporting decreased employer investment in training and reduced individualised training time overall. Libraries offer free resources for study and learning, including online courses and information sources and quiet spaces for study and reflection that people may not have at home. They also provide opportunities for people to develop core skills such as the ability to handle and assess information confidently. Learning is not just about the formal process though, lifelong learning is for everyone - whether it’s a new skill, a means of getting more out of a hobby, or meeting others who share your interests and learning together. Delivery through libraries underpins local authority priorities such as wellbeing, economic growth and productivity, and social cohesion and mobility. There are overlaps with their digital offer, as they have developed their Code Green project and have worked with the BBC to produce resources which will support roll out of the new Micro:bit computers. Perhaps one of the most unsung projects is Access to Research: a partnership between publishers and libraries to open up access to academic research materials. This initiative gives free, walk-in access to over 15 million academic articles in participating public libraries across the UK. Students and independent researchers can now access many of the world’s best academic papers from leading publishers who have made their journal content available for free. Read more about the learning offer on the SCL website. The original strategy: A Library and Lifelong Learning Development Strategy for Tower Hamlets was published in 1999, and described how, alongside the lending library and reference section, each store would also offer: adult and further education classrooms, open learning centres, public access IT and Internet terminals, homework clubs, study space, and a creche. These areas and activities are now a familiar part of many libraries. The strategy was reviewed in 2009, and when the question was asked recently: Public library innovation: Idea Stores - so last century?, the response was that they have proved highly resilient and are still thriving in the 21st century. 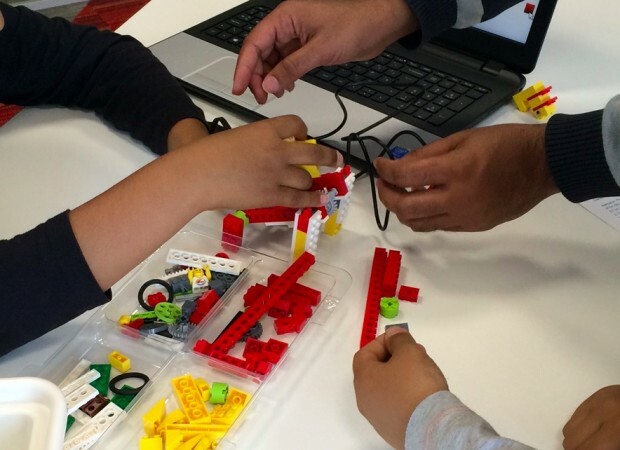 We have published a couple of blogs about the exciting partnership between LEGO® Education and Carillion in Croydon, Ealing, Harrow and Hounslow: the first of its kind in UK libraries! The benefits of working with LEGO® Education meant their programme goes way beyond simply providing a box of bricks, and involves story telling, coding and robotics programming, as well as enabling children to learn how to work in teams. Staff have been delivering workshops using innovative resources from the LEGO Education range, informed by research from the University of Cambridge: ‘Towards a playful Pedagogy in Literacy’, [published as LEGO - a system for learning] A second post shared more information about the impact this partnership is having. 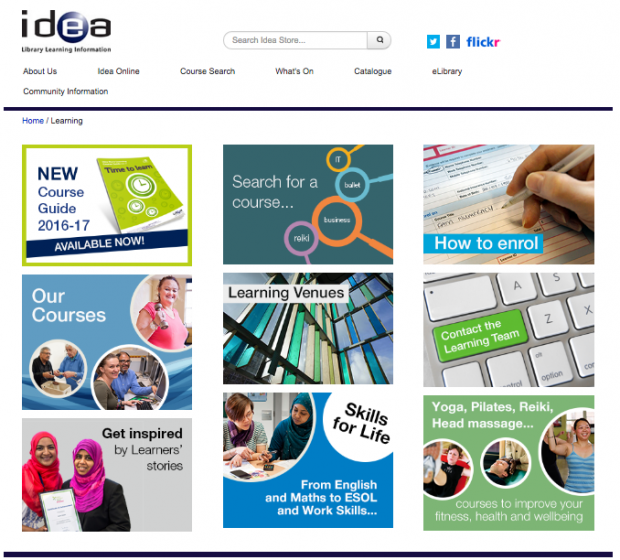 Dudley libraries saw that the Six Book Challenge (now Reading Ahead) provided an opportunity to approach Skills for Life and ESOL (English for Speakers of Other Languages) classes within the borough to encourage learners to increase their literacy skills in a more innovative way. Initial visits were arranged to classroom settings where the benefits of reading were promoted along with the resources and facilities available in libraries. The tutor embedded this Challenge within the curriculum, encouraging learners to read Skills for Life titles each week. The literacy levels of the group, all aged over forty, were very low; in some cases nil. Collections of books which were suitable for the group were sourced and purchased. All learners joined the library and used the Skills for Life collections for the Challenge. In the process of completing the Challenge, they were inspired to write their own stories in the style of the books they had been reading. These were based on their own life experiences and were intended to be used by other people with similar literacy skills. As part of their personal progression whilst participating in this year’s challenge, they are intending to publish the books on a suitable platform which will be available in the borough’s 13 libraries. Library staff in North Yorkshire worked with NYCC CYC (Connecting Youth Cultures), 4 Youth, and North Yorkshire Youth Music Action Zone on a programme which was the winning entry in the 2012 CILIP Libraries Change Lives awards. The project offers teenagers the chance to meet with library staff and a youth worker to develop their song writing skills, using the library as a cultural centre. Rewind was initially conceived as a self-contained set of ten weekly songwriting workshops to culminate in a showcase performance of the young peoples' work. Part of a wider Songwriting in Libraries initiative, and facilitated by the coming together of the agencies involved, Rewind continues to grow and change to meet the needs of the young people worked with. The project has also encouraged continued engagement with the public library, curbing the decline that usually occurs when children enter secondary education. But song writing and library use is only part of the story. Skipton Rewind Club provides youngsters with a safe space to build their confidence and friendships and, through developing and delivering their own events, the teenagers learn vital transferable skills that will help them in an increasingly competitive jobs market. The Children’s University provides all children aged 5-14 years with the opportunity to take part in exciting and creative learning activities outside of the normal school day. The activities can be before or after school, at weekends and during the school holidays. They have got together with Norfolk libraries to offer a range of activities. Children who complete their activity sheets can take them to the local library and get a stamp in their Children’s University Passport, attending learning events in the library can get them a stamp too. To make sure you catch all the articles in this, and future series, subscribe to our blogs via the signup box in the right hand panel. And if you know of any projects which also illustrate this outcome, please get in touch - either tell us about it in the comments below, or email us at librariestaskforce@culture.gov.uk and and we’ll work out whether it might make a future blog post or case study. As stated above, this completes the series of blog posts on outcomes, but we plan to publish many more examples of how libraries deliver against these vital areas. Look out for the blue icons on future posts.